My Bluetooth World day one started with a great conversation over breakfast as I presented on the need and opportunity for innovation in healthcare using Bluetooth enabled solutions. Our group opened up and had some fantastic discussion around some of the barriers that are currently challenging this industry such as limited numbers of Bluetooth radios being integrated into medical device solutions for connectivity. 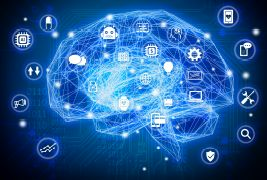 We progressed to discussion on all of the possible use cases as well as the opportunity for the data from an IoT-enabled world of healthcare to create new use cases as we better understand interactions between machines and humans. The keynote speeches and individual presentations had great information, I was most interested in the direction of Bluetooth and the features that are coming shortly, especially the improvements to the meshing capabilities and range as these will open the door for great new use cases. Also of personal interest was Kiyo Kubo’s talk about Bluetooth LE at Levi’s Stadium and the pain of getting to where it is today. Kiyo had gone through all of the challenges around Apple reducing their probing rates to almost nil and randomization of MAC addresses in the probing frames, forcing a change over to Bluetooth. They then had to develop a number of tools to make it a success both from an initial deployment and long term manageability. The Expo floor had a wide variety of use cases from BLE managed LED lighting that synced with car audio to IoT-enabled hearing aids that would use location and ambient sound to automatically adjust their sound levels and noise filtration via a cloud interface. Wireless Field Day wrapped up last week with an incredible visit to Levi's Stadium, home of my San Francisco 49ers. As both a rabid football and Wi-Fi fan, it doesn't get any better than this to culminate an already awesome week. Aruba Networks and Levi's Stadium have set a new bar in terms of connectivity, engagement with the fan base and building for the mobile generation. Mobile Engagement at the stadium is done leveraging a custom app that has been location enabled using Aruba's Meridian SDK and a hybrid Wi-Fi and low energy bluetooth (BLE) infrastructure. If you aren't familiar with beacons and low energy bluetooth, please refer to my previous posts on the subject as they will serve as a good primer. We've all seen a lot of hype around what BLE can do for you, but little has been mentioned about some of the challenges around managing these infrastructures. 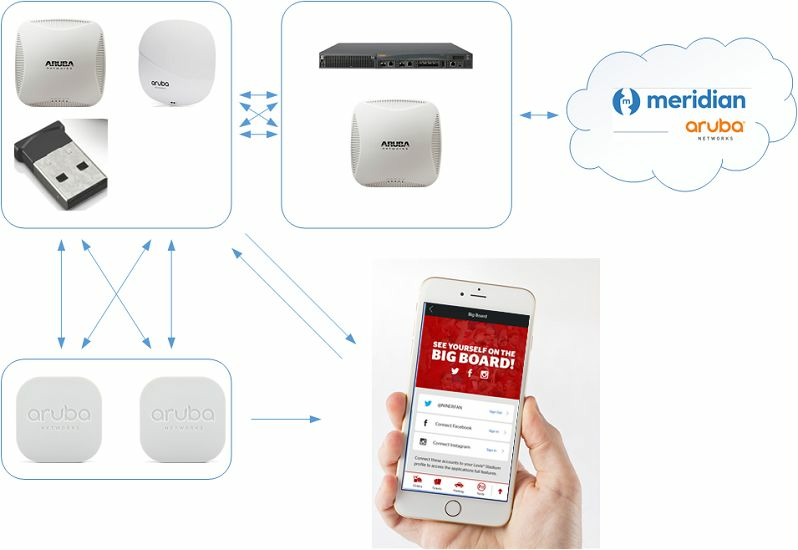 I had an opportunity to spend some time with Aruba Meridian back in January of this year and go through a class in which we built an underlying beacon infrastructure configuration and then developed an app that used that infrastructure. 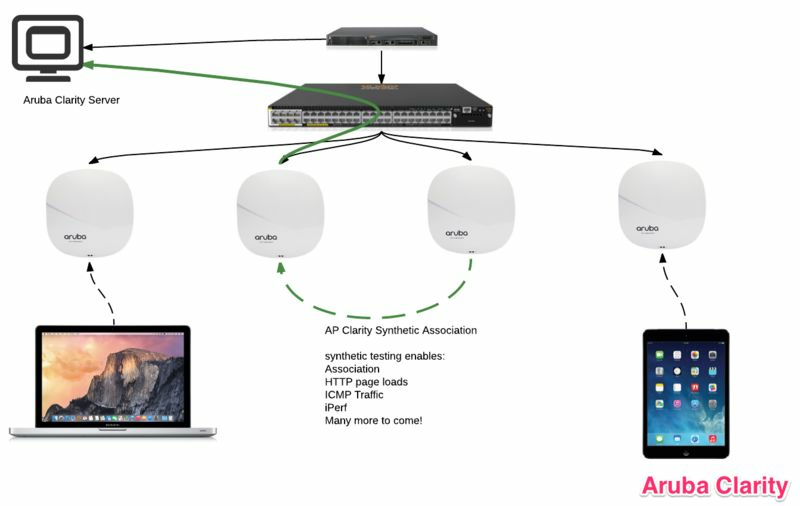 This process involved using the Aruba Beacons app and individually configuring each beacon. This process applies for firmware upgrades and reprogramming the beacons as well, even after deployment unless some other system is in place. Inherently beacons require that you are within their proximity 30-50' typically to do this kind of work. Needless to say in an environment like Levi's Stadium this would be unmanageable. 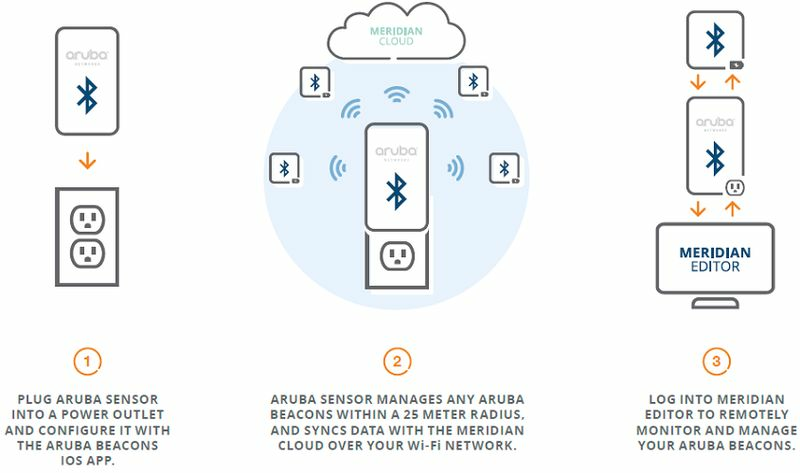 Aruba's infrastructure enables the management of beacons via bluetooth radios resident on their new access points or retrofit on the previous generation of APs via a USB bluetooth beacon. Aruba entered the hardware world of beacons to do right by their customers in developing an end-to-end solution that is supportable. 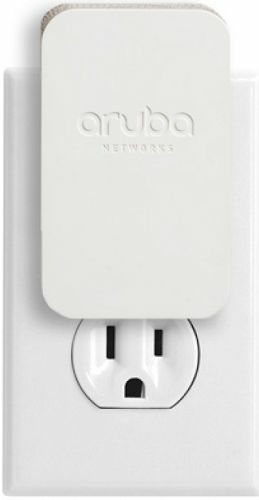 This configuration enables beacon configuration and firmware updates to be executed via the Meridian cloud and pushed down to the beacons via controllers/instant APs and over the bluetooth radios to the beacons themselves. I have been a fan of Meridian Apps from the beginning and commend Aruba for pulling the trigger and acquiring the company. The "better together" mantra definitely rings true here as Meridian simplifies the most difficult piece of engaging customers--the mobile app. If you've never explored this world, it is a confusing mix of custom app developers, SDKs, etc. each with their own pros and cons. Meridian offers two levels of integration, one is the Meridian app maker and the second is the their SDK. The AppMaker simplifies the app creation process so much that most organizations could do this themselves if desired. I do recommend some guidance around the structure and design of the app, but it is built so that a marketing person could actually construct the app. 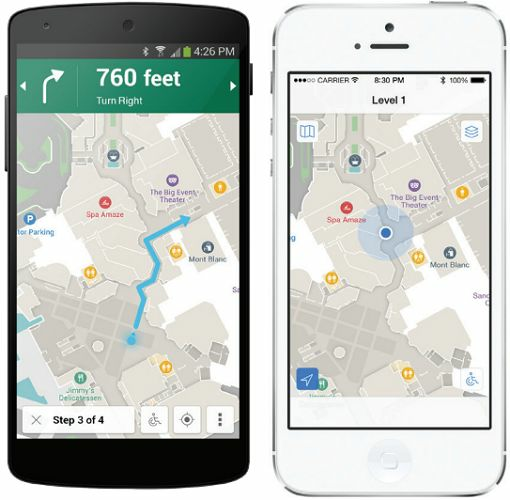 My first go at building an app that included some points of interest, wayfinding, etc. took a couple of hours for something that would pass as an enterprise-grade mobile app. 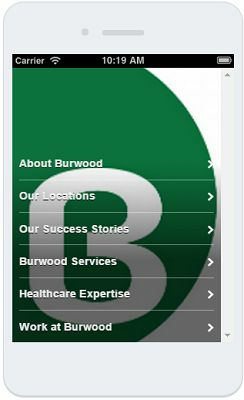 I've made multiple comments on social media about the wayfinding capabilities, especially the Americans with Disabilities Act (ADA) routing. 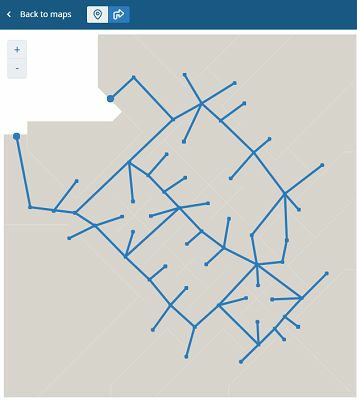 The mobile app creator simply draws in the "roads" and the Meridian engine handles the routing. For each of these roads there is a flag as to whether or not that road is ADA accessible, enabling a user to request accessible routing if desired. "Google Maps, but Indoors" is one of the phrases heard most when it comes to describing what wayfinding is to the layperson. Aruba's BluDot solution gives you that real-time blue dot experience that shows you your current position. This makes finding directions easier as there is no need to enter a source and a destination, you simply need to know where you want to go. BluDot is powered by a combination of beacons and the Meridian cloud service and is the best in the business at doing this. The maps use a scalar vector floor plan to ensure navigation and zooming in/out look great and enable the app creator to create points of interest throughout the map. Campaigns are the traditional push messaging of the beaconing world and allow for interaction with end users. Campaigns can be configured to run once, on a set schedule, or for a particular zone. 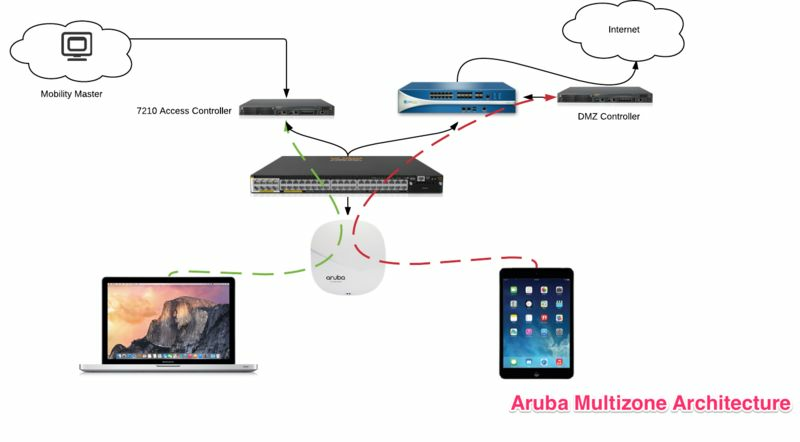 Again Aruba does a brilliant job in making this easy to implement and understand. These push messages can make your visitors aware of a guest network, offer incentives, make them aware of current promotions, etc.